Nuts are a tasty snack packed with nutrition. They're good for your health as long as they're not candy-coated, fried in oil or covered with salt. They're available raw and roasted, but is one better than the other? Either way, nuts average about 185 calories per ounce, and can pack on the pounds if you're not careful. 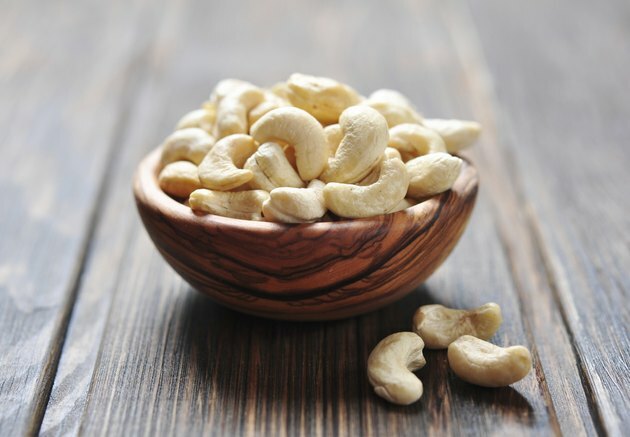 There are only small nutritional differences between raw and dry-roasted cashews, according to the U.S. Department of Agriculture's nutrient database. One ounce of raw cashews contains 157 calories, 12.43 g of fat, 8.56 g of carbohydrates, 5.17 g of protein, 0.9 g of fiber and 7 mcg of folate. One ounce of dry-roasted cashews contains 163 calories, 13.14 g of fat, 9.27 g of carbohydrates, 4.34 g of protein, 0.9 g of fiber and 20 mcg of folate. 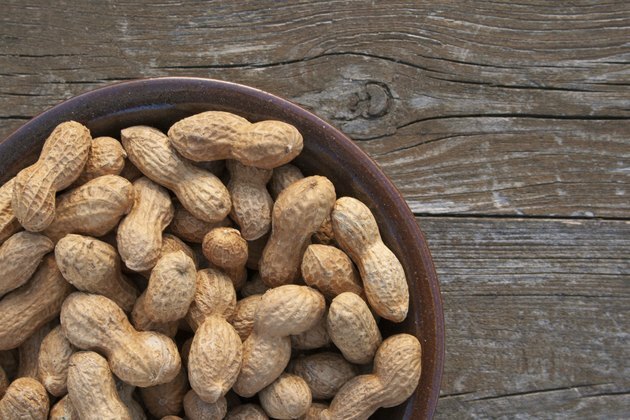 Raw nuts have the potential danger of carrying illness-causing bacteria. 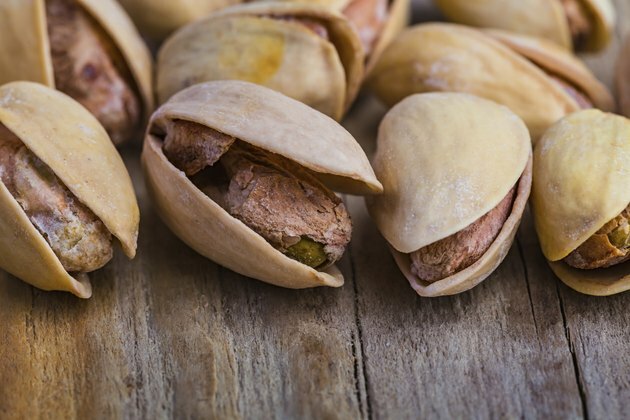 Salmonella has been reported from eating raw almonds and pistachio nuts. Treating raw nuts with steam, dry heat or propylene oxide reduces the risk for contamination with bacteria from raw nuts. 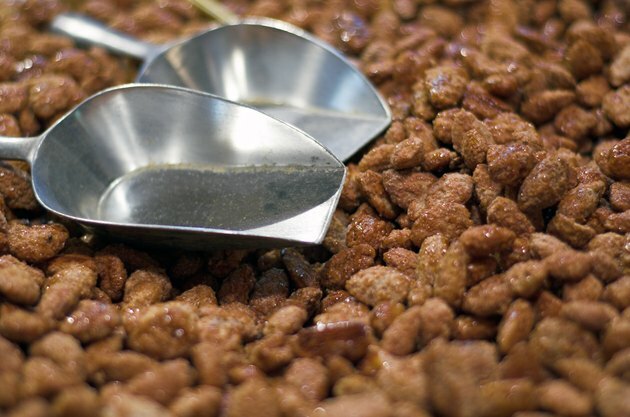 There is no evidence that roasted, blanched or other heat-treated nuts carry the risk of contamination with salmonella, according to the Centers for Disease Control and Prevention. 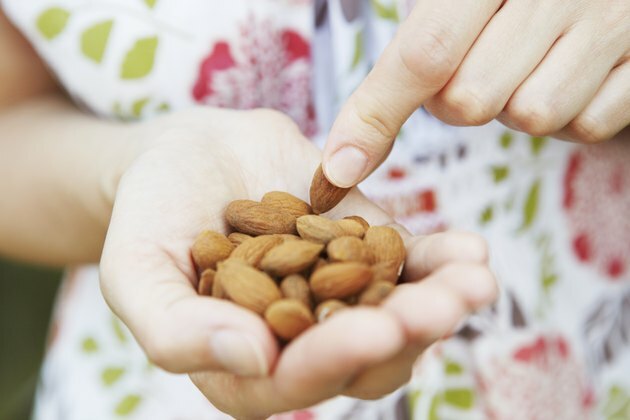 Roasting alters the digestibility of almonds and their effect on satisfying hunger, according to a study that compared the digestion of raw and roasted almonds, reported in the December 2009 issue of the journal "Food Biophysics." Raw almonds are digested more slowly than roasted almonds, and they swell more from stomach fluids, creating a greater feeling of stomach fullness and satisfying hunger longer. Roasting causes almonds to become more easily and effectively digested, which satisfies hunger more quickly, but for a shorter period of time. Eating nuts may reduce your risk of heart disease. 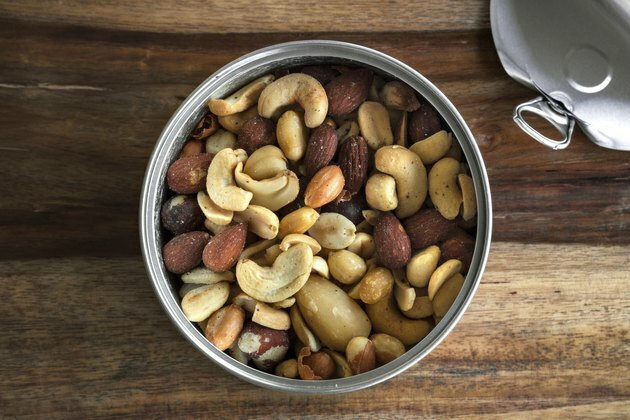 Nuts are filled with healthy fats and the amino acid arginine, which relaxes constricted arteries and increases blood flow, according to the Harvard School of Public Health. Eating an ounce of nuts several times per week can protect you against heart attack, abnormal heart rhythm and sudden cardiac death. Nuts also contain vitamin E, folic acid, fiber and potassium. Good nut choices include almonds, Brazil nuts, cashews, filberts, peanuts, pistachios and walnuts. American Institute for Cancer Research: Is It True That Raw Nuts and Seeds Are More Nutritious Than Those That Have Been Roasted?